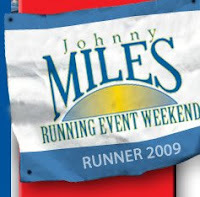 Several NL Runners took part in the Johnny Miles race weekend in New Glasgow last month. Jennifer McCreath ran the marathon in 3:43:10 while Kimberley Alexander ran the 10K in 54:29. Running the half marathon were Janet Noftall in 1:54:45 and Harold Payne in 2:08:38.